I know that I have been away from the blog but school has started and I am even now as I type this super busy with studies, on my way to London for my Residency. But enough said I will get back to my usual track of posting just as soon as I figure out all of this juggling of work, studying and blogging. I am sure London will give me plenty of reasons to blog (read: I plan to do a lot of shopping). 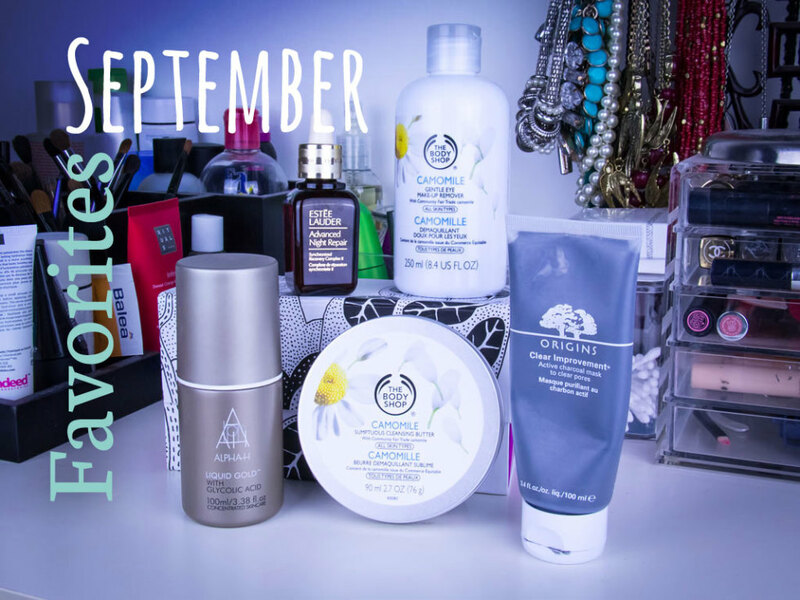 Moving on, this monthly favorites list is made up skincare products and one other random thing. 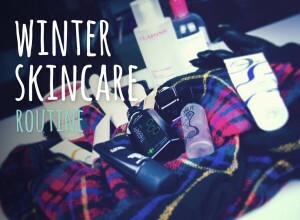 I have not done much in the nature of discovering new make up or fashion items because in these season transition months I tend to focus much more on skincare than anything else. Here are my best loved in September. This has been a recent discovery. I have been eyeing it for ages but finally caved because I just felt like my skin needed a bit more than some of the other serums I use provide it with. I swapped this for the Welleda serum I usually applied at night and have been liking the effects so far. Difficult to describe really, it is not like all of my lines have magically disappeared, but my skin does look plumper and has more elasticity. I have been using it for just over two week and will report back in a month or two. Much softer than many of the other balms I have used I was drawn to this because of its ingredients and because I am a big fan of camomile. I don’t use it every day, but I do massage my face with it once or twice a week to give it a really deep cleanse. My skin feels really fabulous after using it, soft, clean, not oily at all, and fresh. Here it is at The Body Shop. I usually use oils to remove my make up, I just feel that it involves a lot less effort but this month I have been loving this Body Shop eye makeup remover. It is very gentle on the eyes, does not sting, and is very, very effective. I soak a cotton ball in it and then gently wipe away. It takes off the most stubborn eyeliner and mascara although it may be worthy to note that I do not use waterproof mascara so not sure how it would fare with that. This is a recent rediscover. Not too huge on clay masks (although I have not tried the holy grail of them all the Glam Glow) I have had a tube of this in my bathroom for the better part of 5 years. Not the same tube obviously. I think that this does a good job of cleaning out the pores, although you do have to open them first either with warm towel or better yet by soaking first in a warm bath, which is my Sunday ritual. Leaving it on too long will leave your skin too dry so be careful, take off when it is dry to the touch, but don’t let it cake up. 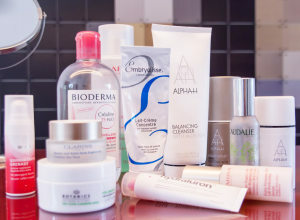 I follow that with a good massage with the cleansing balm mentioned above and this just makes my skin feel very happy. It is also available at Douglas.nl. I think that I have written about this gem before. This is a serum/liquid with glycolic acid that is used as a night treatment. I have been using for a while now, but found that it did wonders for my skin after the summer. I tend to get dull skin as the seasons change and especially after summer, but I have seen none of it this month. Helps exfoliate, clarify, and purify the skin I have been really impressed in the difference I have seen! Here it is at Cult Beauty. I had not listened to audio books for a while so this is another rediscovery. I have to say I have become addicted to audio books. Again. I listen to books from my phone and hence the app has become the most used app on it. I love the fact that on the Android app, unlike on the iPhone one, you can actually also purchase books in case of withdrawal emergency.